Follow in the footstep of Jimi Hendrix and the Rolling Stones, in our round-up of the best local pubs this Christmas. We find hidden gems in Kinnerton Street, a merry favourite in Wilton Row and one pub where some of the proceeds go to charity. 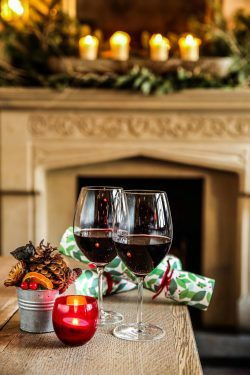 The twelve days of Christmas – require a dozen pubs this festive season. ’Tis the season to be jolly, but remember to drink responsibly this Christmas. Festive options at this popular pub include soirees with friends, romantic dinners and cool spaces for staff parties. Set over four floors, there is a bar, restaurant and a selection of private dining areas. Whether you want a pre-Christmas get-together or a family lunch out, this venue offers it all. This tucked-away gem is said to have been named after a young soldier who was caught cheating at cards. Visitors attach money to the ceiling in an attempt to pay off his debt. The Grenadier is a popular pub located in a beautiful Belgravia backstreet. 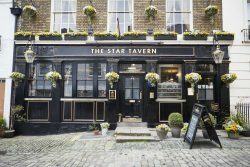 The Star Tavern’s past customers include everyone from Peter O’Toole and Diana Dors, to Albert Finney. Yet, this local haunt was also where the masterminds mulled over the plans for the Great Train Robbery. 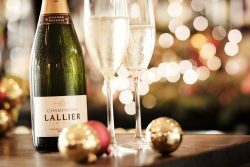 Enjoy some festive fizz by the roaring fire this Christmas. The Antelope offers a Christmas Co-ordinator to plan the perfect occasion. A special menu includes the pub’s seasonal speciality – Christmas pudding inspired by a 19th century recipe and enhanced by fruit steeped in Fuller’s Black Cab stout. Early bird diners get a 20 per cent discount on certain dates. This pretty pub on Kinnerton Street is known for its dazzling array of hanging baskets in the summer. At Christmas, it is the cosy interior that will delight visitors. The food here is traditional and filling. It’s an ideal place to visit if you go Christmas shopping in nearby Motcomb Street. 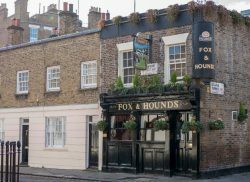 Here is a pub that is both popular with locals and those who discover Belgravia for the first time. 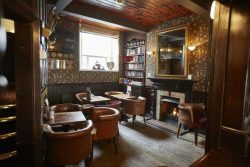 Enjoy the warm atmosphere of the Nag’s Head, where traditional interiors meet modern day visitors. This is a beautiful setting to rest and relax at Christmas, or during the summertime. On the corner of Eaton Terrace, this bar has oak panelling and tartan carpets. 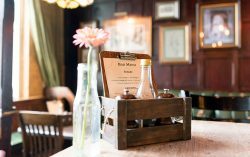 It prides itself on the quality of its pints and offers pub staples such as “bangers and mash” as well as “fish and chips”. As the evenings draw in, it’s an ideal place to relax and take the weight off after a shopping trip. 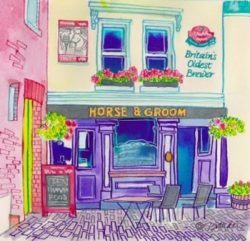 Small, but perfectly formed, the Horse and Groom is only open on weekdays. It was also the location for an advertisement for Spitfire beer, starring Alexander Armstrong and Ben Miller. Look out for the Christmas menu which offers two courses for £20 (Its food gets rave reviews). This pub is named after the master builder who made Belgravia into the distinguished district it remains today. He laid out the leafy squares and envisaged the elegant terraces. No doubt, he would have been thrilled to have a pub named after him. 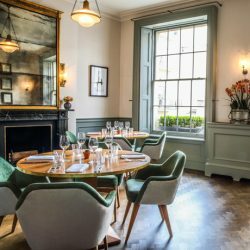 The ground floor bar serves tasty dishes, while the elegant first-floor restaurant is worth visiting, too. This pub is so excited about Christmas that it’s counting down the days. In its early life in the 19th century, it served only ale. This tradition was retained right up until 1996, when it finally started serving spirits, too. 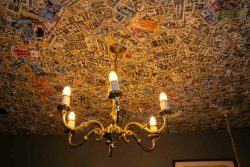 Enjoy the Victorian décor in this local pub. Food options include Scotch eggs or pork pies, and if you like Young’s Bitter, you’ll be in heaven. A short stroll from Belgravia, this pub used to cater for the likes of Jimi Hendrix and the Rolling Stones. However, the Chelsea Potter is named after William de Morgan, the founder of Chelsea Arts Pottery, known for its brilliant blue-glazed designs. A three-course Christmas meal costs £20.99, while a children’s option is £7.99. Christmas is already here at this Chelsea hostelry. To get you into the festive spirit, some of the proceeds go to help the homeless via the charity StreetSmart (http://streetsmart.org.uk/). The range of beer should please serious ale drinkers, while the décor will appeal to lovers of traditional pubs. Contact Henry & James for a free property valuation, or to let your home on Tel 020 7235 8861 or email: belgraviaoffice@henryandjames.co.uk.